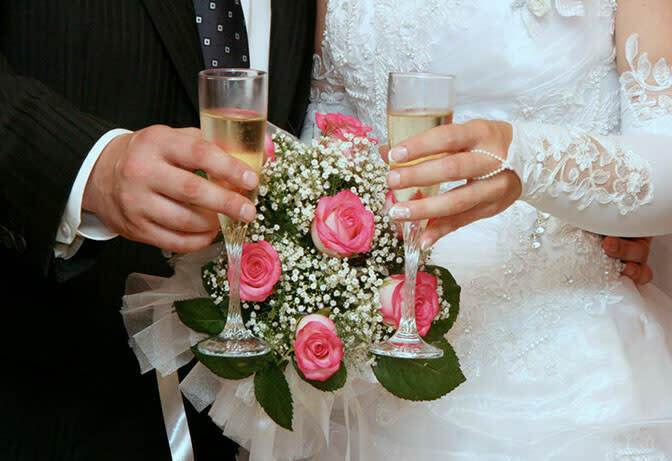 Along with traditional wedding and event flowers, we also offer a very special service that will make your Very Special Day even More Memorable and Special. 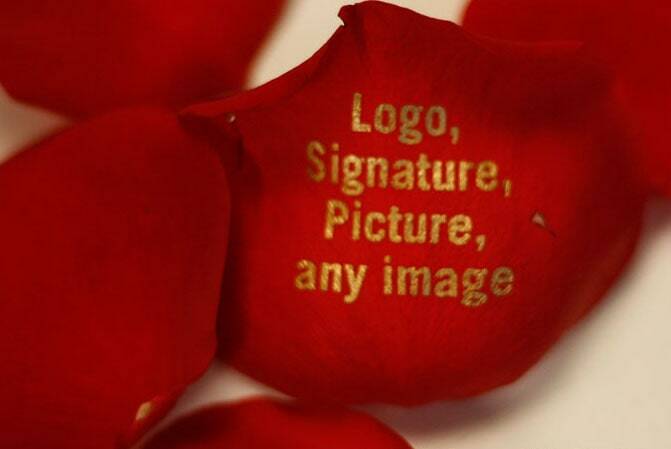 Speaking Roses has created, patented, and developed a unique flower printer to screen personalized messages and images on fresh, live flowers. 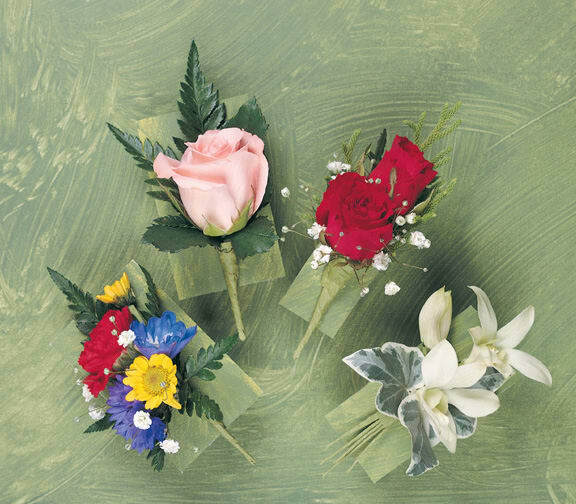 This new, stimulating way of expression is combined with human emotions and the glamour of flowers for memorable occasions. 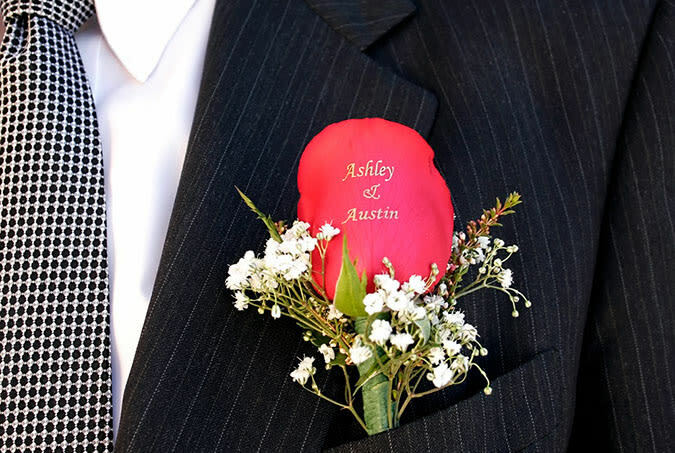 Your wedding day will make a lasting impression on everyone you share it with. 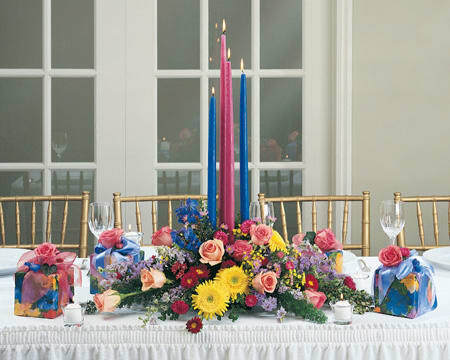 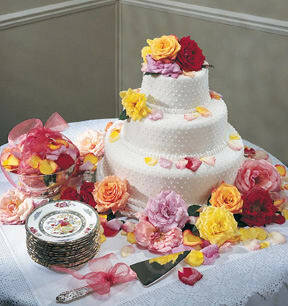 Let the Magic of Speaking Roses make your special day an experience that cant be touched. 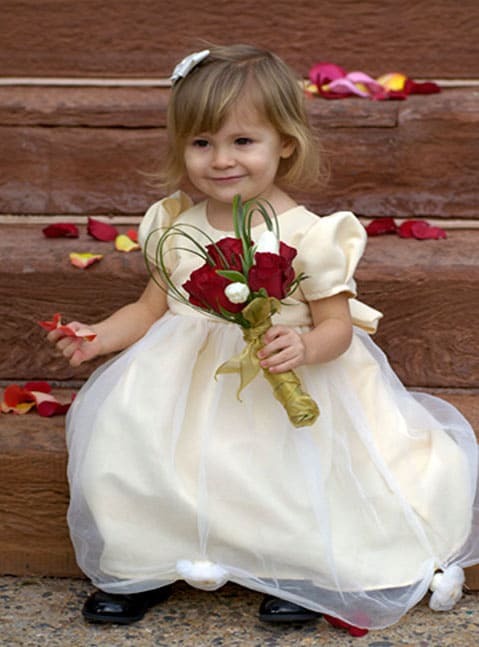 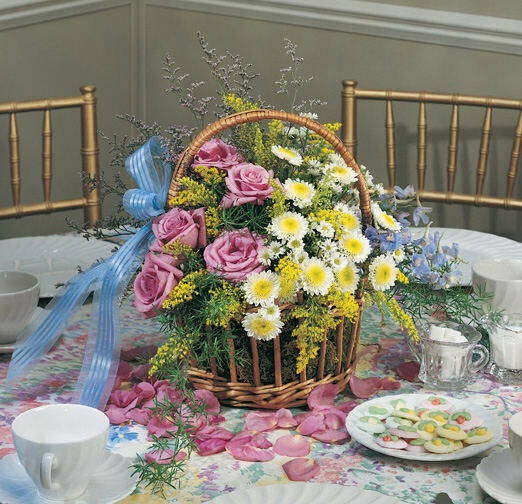 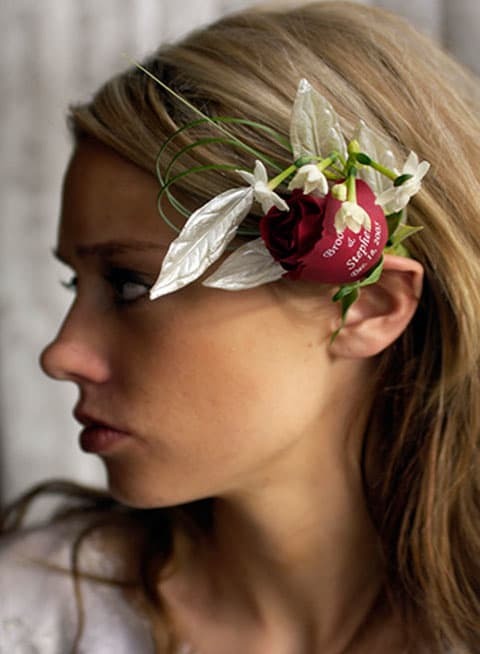 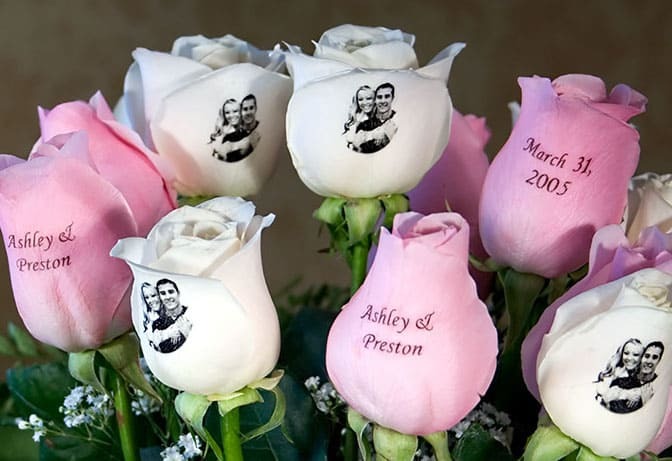 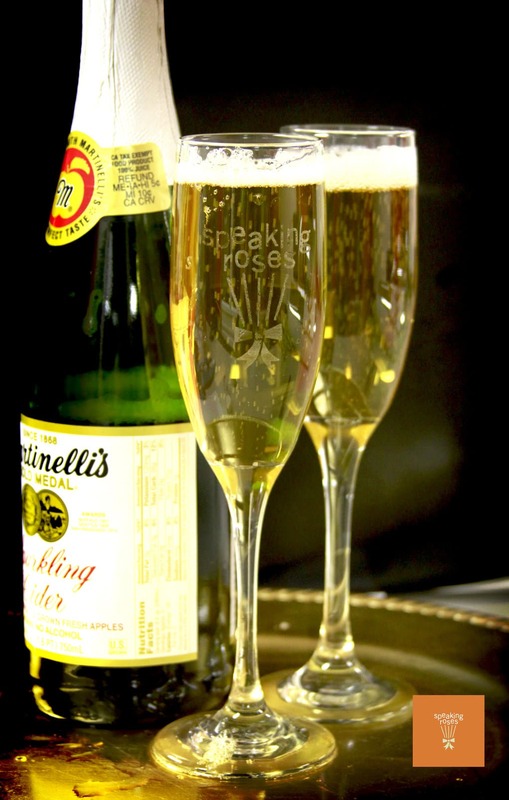 Flowers with the Speaking Roses touch will make your wedding day timeless and unforgettable. 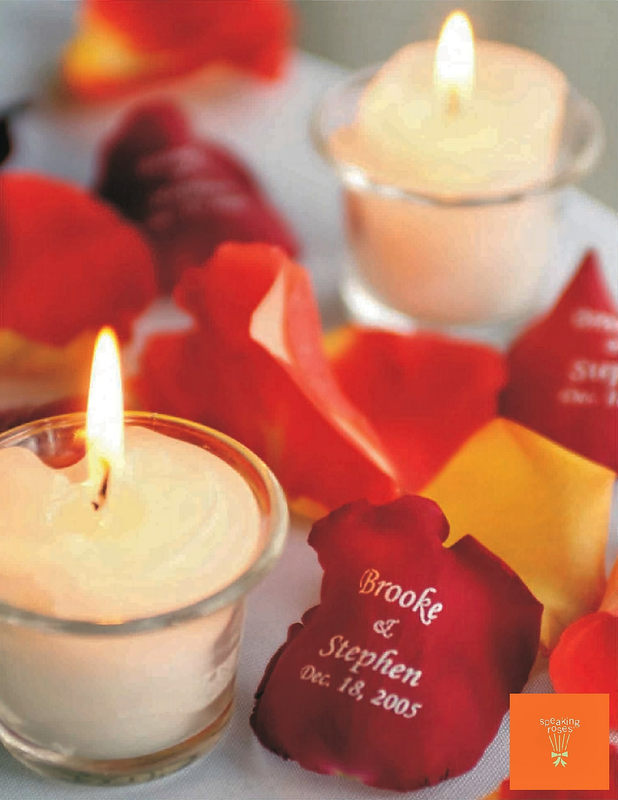 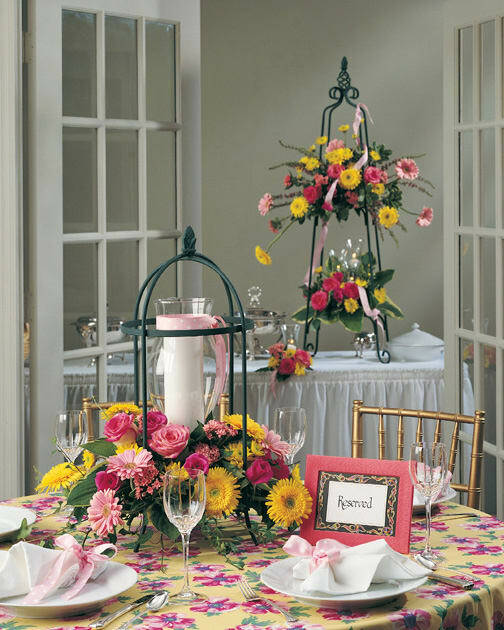 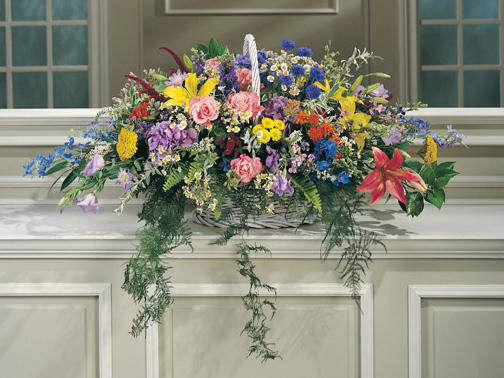 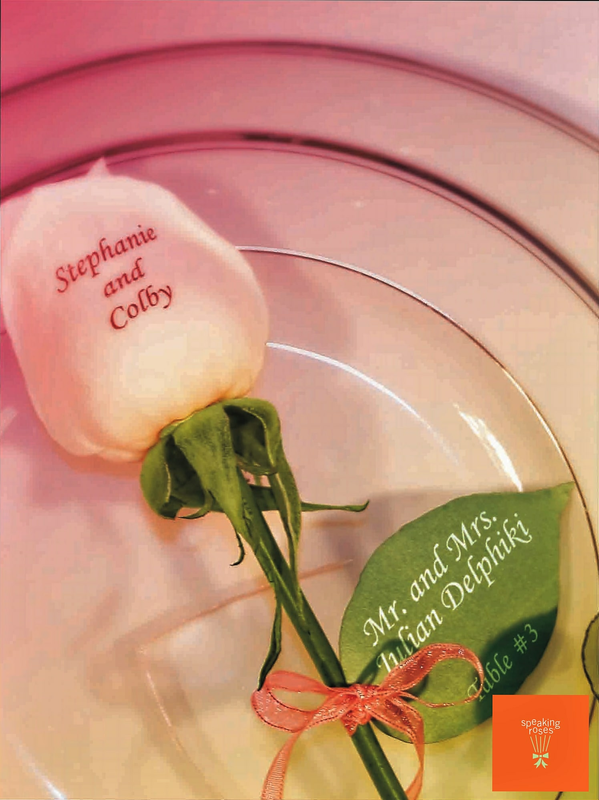 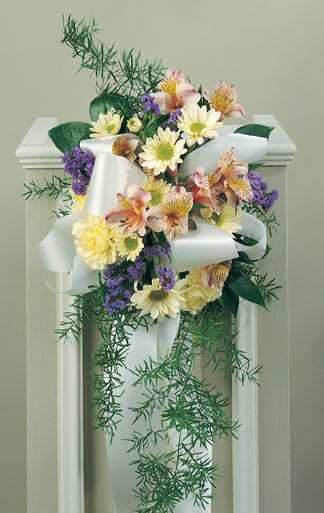 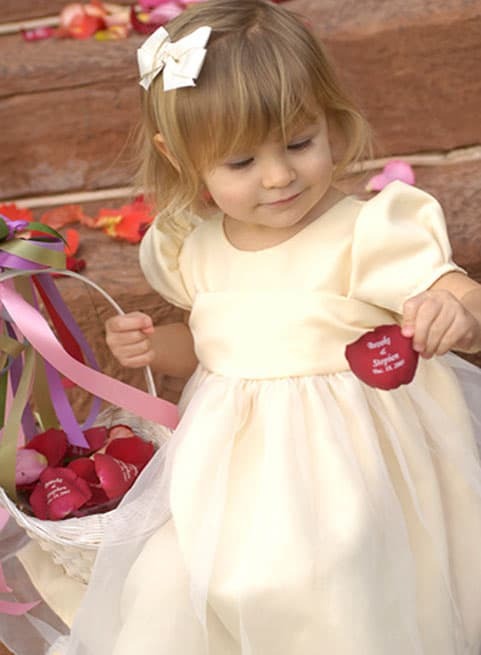 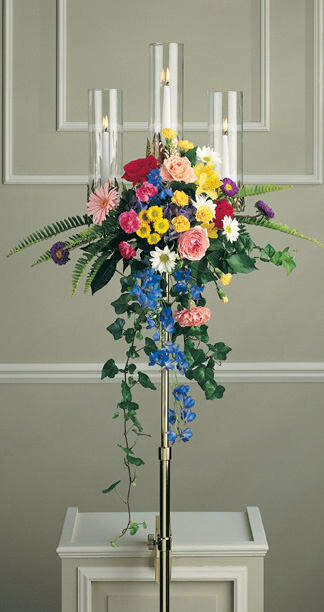 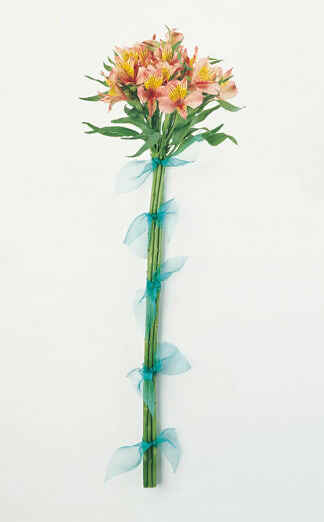 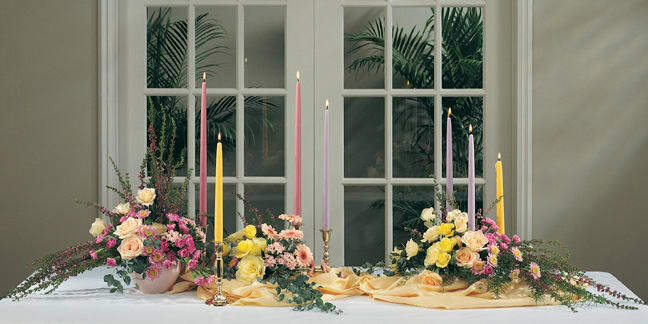 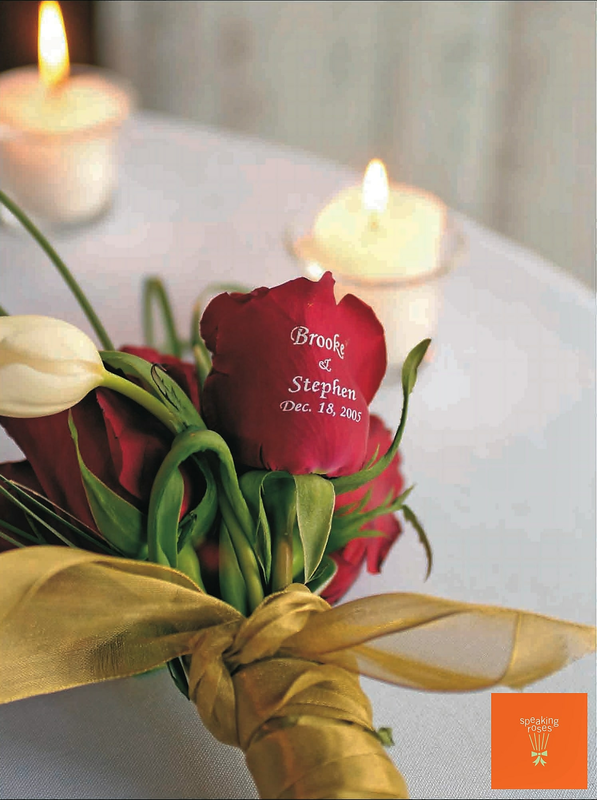 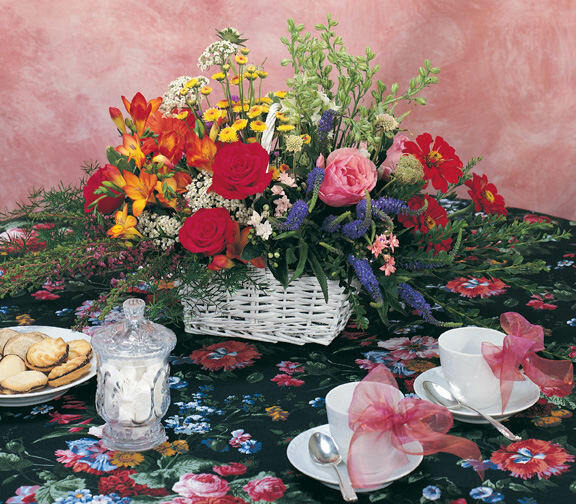 Imagine, wedding flowers imprinted with your names, your date, or a touching photo of the two of you together. 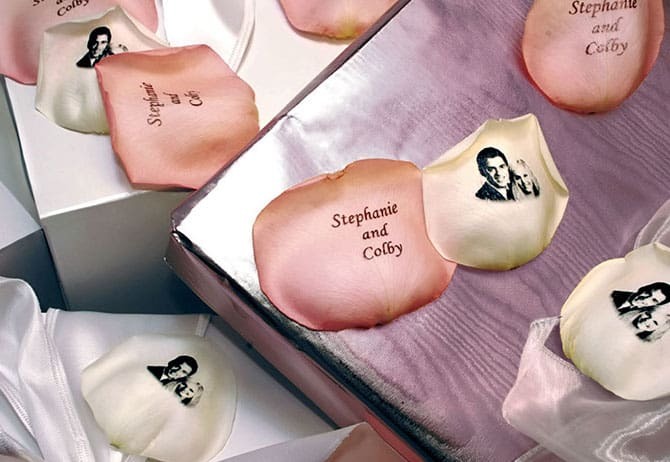 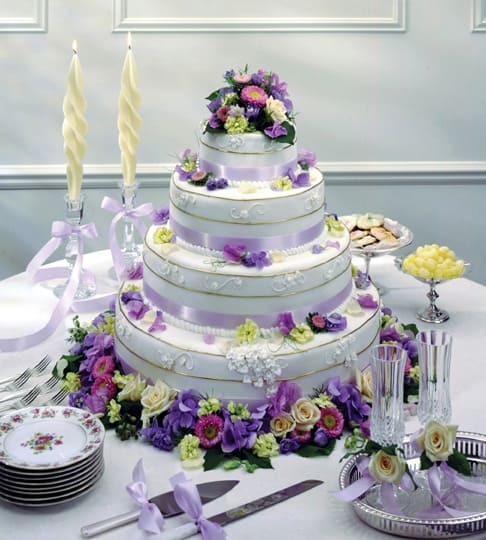 Your special day will be unique, and your memories of it will live on forever, like a flower that never fades. 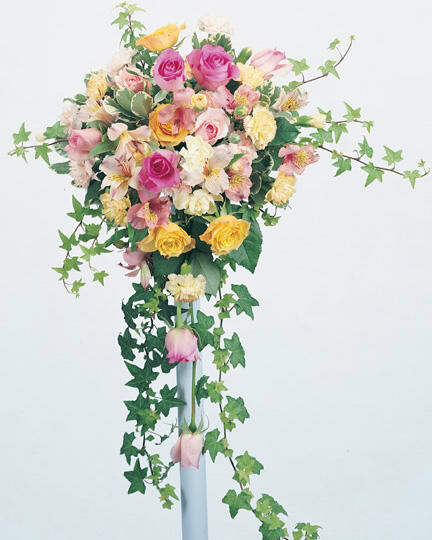 Go ahead and complete our questionnaire and take the first step to getting the perfect flowers for your day, your way.